As Christians we know that every human life is a gift from God. But when women face an unplanned pregnancy, abortion often seems like the only solution. We need your help to make sure that women are educated in order to make an informed decision. New Life Family Outreach is the church's local mission partner in our shared community in promoting the sanctity of human life, protecting the unborn and demonstrating the love of Christ to women, couples and families facing this difficult decision. Ministry is a community partnership. We see New Life Family Outreach as an extension of the church body. But with limited resources, we need churches to send committed volunteers with a heart for the work of our outreach center, and/or service groups for various projects around the facility. We always have a need for groups, so contact us today to find out when and how your group can serve. We need churches to share our mission and services to their sphere of influence. We can send information, materials, or speakers to help educate. While the majority of people in your congregation may not need our services, chances are, they know someone who will. 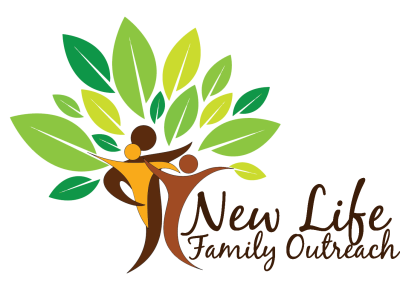 Contact us if you’d like to help us get the word out about New Life Family Outreach. We need churches to faithfully support the ministry work of our outreach. Our desire is to see every church partner give something on a monthly basis. This not only shows commitment, but it ensures the work your church is doing through New Life Family Outreach will continue. Contact us if your church is willing to faithfully support through financial giving. Ask your Pastor and church to consider adopting New Life Family Outreach for one month during the year to collect diapers of all sizes and wipes. God meets the needs of those we serve and uses these tangible gifts as an incentive to draw our clients back for two years after their baby is born while participating in our Joy mentoring program. Through parenting and life skill sessions and classes, we build relationships to share Christ and strive to break unhealthy family cycles. Together we are inspiring new life, impacting futures, and growing a healthier community!